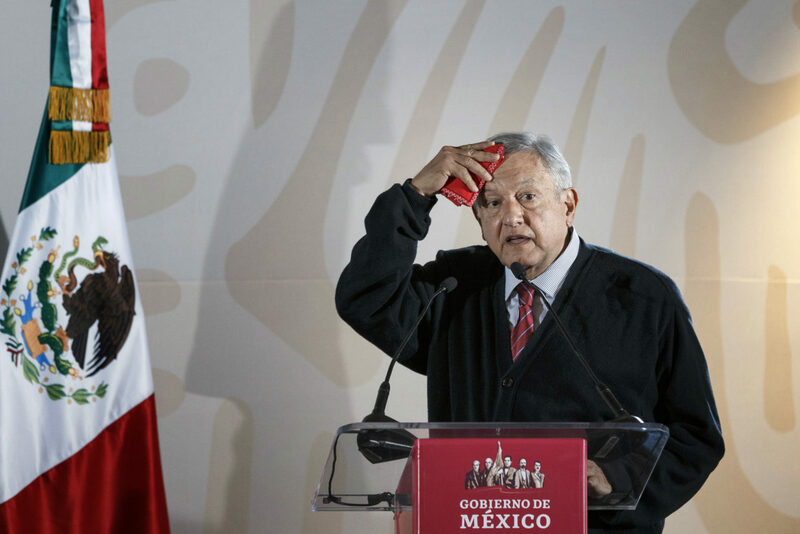 Mexican President Andres Manuel Lopez Obrador traditionally has aligned himself with leftist political parties and stances. But he ended 2018 with announcements that suggest a welcome restraint and appreciation for the market economy. Two weeks after his Dec. 1 inauguration, AMLO, as the president is popularly known, presented a three-year federal budget that drew positive responses from international trading and financial markets and prompted a rise in the value of the peso. It trimmed spending by cutting some government initiatives. Those cuts will help offset his next pronouncement: On Dec. 31, he issued an executive order cutting corporate taxes in states that border the United States, coupled with a minimum wage increase. He also ordered a reduction in gasoline prices. AMLO’s stated goal is to increase productivity and trade in hopes of encouraging investment and economic expansion. Higher wages are included in the recently reworked trade agreement with the United States and Canada. The president expressed hopes that higher wages and more jobs will inspire more Mexican workers to stay in their home country instead of migrating to seek better economic opportunity north of the border. Immigration from Mexico already has slowed in recent years; much of the movement into the United States recently has come from Asia and Central America. Living conditions in much of Mexico have improved, steadily but slowly and in some years more Mexican nationals have returned home than have migrated here — despite U.S. President Donald Trump’s continued talk of waves of invaders from our southern neighbor. Lopez Obrador has said he hopes Central American migrants will choose to stay in Mexico, which would benefit from their labor. Further improvements would have a two-fold effect: It would ease the demand for U.S. entry visas, while keeping more workers in Mexico to help develop that country’s economy. Improved conditions along the border should prove especially auspicious for U.S. areas such as the Rio Grande Valley, whose economy benefits greatly from cross-border trade. More businesses in northern Mexico would give Valley residents new incentives to cross over and buy their wares, while improved conditions in Mexico attract more Mexican residents to local cities to shop in our stores, patronize our restaurants and come to concerts and other entertainment events. Some analysts have expressed fears that AMLO’s budget and plans might be a bit too optimistic, although he has said this is just the first part of what he calls “curtains of development” that will ripple through the country. His announced reductions in federal spending before the announced tax cuts, which will reduce federal revenue, suggest an understanding that the national budget must be kept under control before he launches any of the social welfare and infrastructure projects he promised during his presidential campaign. “This suggests the new administration is keen to show more conservative fiscal management from the get-go,” international banking conglomerate BNP Paribas stated in a note to its clients. We hope the optimism that has followed AMLO’s moves proves to be well-founded. We hope the moves prove fruitful for Mexico’s new president, and encourage further market reforms.